Filmmaker Bernardo Ruiz's documentary "Harvest Season" focuses on the inextricable link between American wines and Latino winemakers and farmers. There are plenty of shows and programs on food and wine, but very few focus on the behind-the-scenes players, especially those who work the land, says two-time Emmy nominated Mexican-American filmmaker Bernardo Ruiz. With his new documentary "Harvest Season," Ruiz wants to change that way of thinking by showing the backstories of generations of Latino wine producers and vineyard workers who have been pruning, grafting and harvesting grapes into our favorite American wines. Ruiz's film transforms the Napa and Sonoma Valleys—California’s second most popular tourist destination after Disneyland—into a stage for much larger stories about migration, politics and the American Dream. “Surprisingly, there aren’t any other films or documentaries about the immigrant presence in California wine, given how much the industry relies on immigrant labor, and the bulk of it comes from Mexico,” said Ruiz in a phone interview with NBC News. 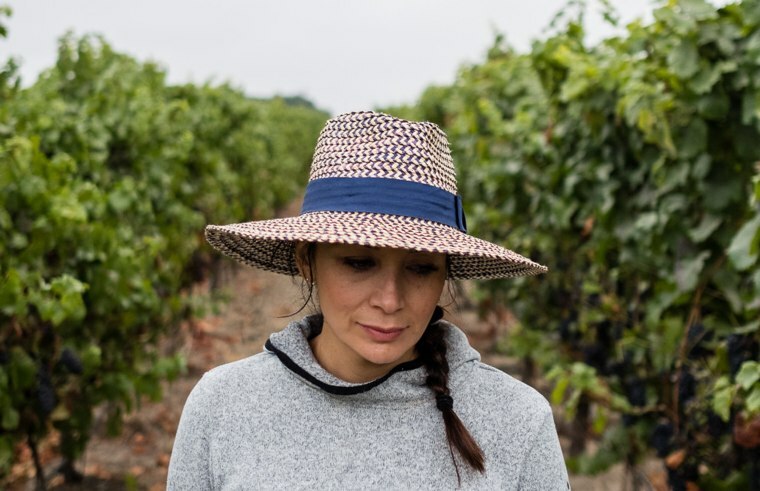 “Harvest Season” tells the story of two Mexican-American winemakers in California's Napa and Sonoma Valleys — winemaker and entrepreneur Vanessa Robledo, who works with her mother María, as well as acclaimed winemaker Gustavo Brambila. Ruiz documents all the stages of wine production — from the vineyard to the bottle — and gives us a window into the sometimes precarious conditions for grape growers. At one point the winemakers were worried about how the smoke from last year's Northern California wildfires could affect the grapes. The 2017 fire burned over 340,000 acres of land, killed at least 44 people, and cost the wine industry $13.2 billion. Latina viticulturist Vanessa Robledo's ancestors migrated to the U.S. in the 1940s. “Their resume was the calluses on their hands,” Robledo told NBC News in a phone interview, describing the way her great-grandfather and grandfather were picked for the Bracero program, a temporary worker agreement signed between the United States and Mexico during World War II, when the U.S. had a shortage of workers, that brought millions of Mexican workers and field hands to the U.S. The term bracero has Spanish language roots, and was commonly used to describe manual laborers or people who worked with their brazos (arms). “They had to take off their clothes [to be examined], and depending on the muscle mass on their bodies they were selected as laborers,” said Robledo. In the documentary, Robledo recalls her father saying, "Being able to farm, that's how our family is going to be able to survive, and that is our future." For Robledo, the way her ancestors pruned and grafted vines is a very personal experience that shaped and formed the clusters of grapes that made her family’s American Dream come true. The documentary shows viewers today how California vineyards are still fueling the dreams of younger migrants—harvesters like René Reyes, who sees in the vines a path and opportunity to prune and graft a better future for his children. Reyes migrates seasonally from Michoacán, Mexico to California with the same H-2A visa that President Trump’s winery uses in Charlottesville, Virginia to hire temporary agricultural workers. The H-2A program is a modern-day version of the older Bracero program. Reyes, like other Mexican workers, was recruited by a mayordomo (steward) at a California vineyard. While Mexico does not have a big wine making tradition like Spain, Italy or France, Mexican workers have specific grafting, pruning and budding skills that were developed over generations of farming limes, avocado, corn and beans, and they've been working in California vineyards for many generations. Guest worker H-2A visas surged in 2018—200,363 workers were requested during the first three quarters of this fiscal year. Many of those visas are requested by the wine industry—and other agricultural industries—which face a shortage of skilled labor. Wine makers like Robledo have had a long trajectory in the wine industry. She helped grow the family winery from 100 to 20,000 cases in one decade, and broke out as an independent wine consultant for high-end wineries like Black Coyote. She then teamed up again with her mother on their own vineyards. “I am very thankful of the way that I grew up with my ancestors, because they explained to me that doing the work is not just doing the work,” she told NBC News. "Harvest Season," which is being screened in New York City's Independent Film Center (IFC) on November 15, will also premiere on PBS in the spring of 2019.